BBC Radio 4 - Woman's Hour, Beyond Clueless; How Influential Are Our Teenage Film Heroines? 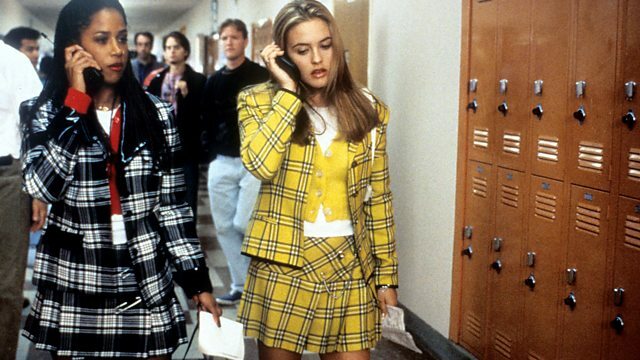 Beyond Clueless; How Influential Are Our Teenage Film Heroines? As the teen film documentary Beyond Clueless hits the screens, how influential are teenage film heroines? Plus Diana Nneka Atuona talks about the inspiration behind her new play. Coming-of-age movies like Clueless and The Breakfast Club show the transition from childhood to adulthood and what it's like to fit in - or not. But what do we learn from our teenage film heroines? Which female characters have - or will - stand the test of time? Around 7,000 women in the UK are diagnosed with Ovarian Cancer every year. What impact will the discovery of six new genes associated with the disease have on how it's treated . This week marks the 750th anniversary of the first parliament of elected representatives at Westminster. The role the suffragettes played in getting women the vote is well documented. But they also owe something to the rise of the English tea room. Ovarian Cancer is the 5th most common cancer in women in the UK according to Cancer Research UK. It’s often referred to as a silent killer because it’s often not picked up until it’s at an advanced stage. The discovery of an additional six genes that are associated with small increases in the likelihood of developing the disease could help researchers find new ways of treating and possibly preventing it in the future. Jenni talks to Professor Paul Pharoah who was part of the research team. At the moment, just over a fifth of MPs are women – but what are the chances women will be better represented after the General Election? Last month we looked at the efforts of the main political parties at Westminster to get more women to stand. Today we turn to those parties hoping to make big gains on May 7th.. The Green Party got its first MP in 2010 – Caroline Lucas. So what’s it like for the women aiming to join her? Coming-of-age movies like Clueless and The Breakfast Club show the transition from childhood to adulthood and what it’s like to fit in - or not. But what do we learn from our teenage film heroines? Which female characters have – or will – stand the test of time? And prior to 1995’s Clueless, which women leads influenced girls? Catherine Bray, Co-Producer on teen movie documentary Beyond Clueless and Elizabeth Karlsen, Founder of Number9 Films and chair of Women in Film & Television join Jenni to discuss coming of age classics. This week marks the 750th anniversary of the first parliament of elected representatives at Westminster. But women, of course, had to wait hundreds of years before women won equal voting rights with men – the property owner over 30 in 1918 and universal suffrage in 1928. The role the suffragettes played in winning the vote is well known. What’s perhaps less well known is how important the rising popularity of the English Tea Room was to their campaign. Diana Nneka Atuona speaks to Jenni Murray about her award winning play the ‘Liberian Girl’, about a young girl caught in the conflict of the Liberian civil war, currently on stage at the Royal Court Theatre.